London Mexfest is a brand new festival, which arrives at Rich Mix in Shoreditch on Friday 17th August before concluding on Sunday 22nd. We're lucky enough to be giving away a pair of tickets to the festival's closing night film, 'Daniel y Ana' (otherwise known as 'Daniel & Ana'), directed by Cannes Film Festival award winner Michel Franco. Enter below. 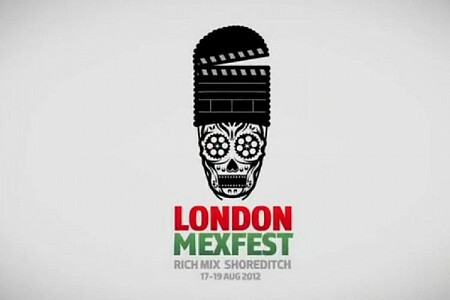 The British Council have come together with a host of other organisations, including the Mexican Film Institute to produce the inaugural London Mexfest festival. The weekend will showcase Mexican cinema (including Diego Luna's comedy-drama 'Abel'), music and food, as well as the first ever London Lucha Libre exhibition by Mexican photographer Lourdes Grobet. 'Daniel & Ana' is the festival closing film and Franco's debut feature. His following feature 'After Lucia' won the Un Certain Regard prize at Cannes this year. His first film examines the lives of Daniel (Dario Yazbek Bernal) and Ana (Marimar Vega), whose relationship changes forever after they are both kidnapped. HOW TO WIN: The film begins at 20.15 on Sunday 22nd at Rich Mix in Shoreditch. If you wish to attend, simply email fgcompetition-mexfest@yahoo.co.uk with your name and London Mexfest in the subject/title of the email.